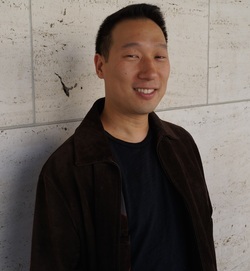 Conway Kuo, violist and violinist, is a founding member of the Bateira Trio. He received his Bachelor's and Master's degrees from the Juilliard School. He is currently the Associate Principal Second Violin of the New York City Ballet Orchestra and also a Section First Violinist with the New York City Opera Orchestra. Conway performs regularly with the Philadelphia Orchestra and has participated in the Aspen, Schleswig-Holstein, and Pacific Music Festivals. His major teachers include Jascha Brodsky, Masao Kawasaki, Glenn Dicterow, and Arnold Steinhardt.